Want to snag first place? 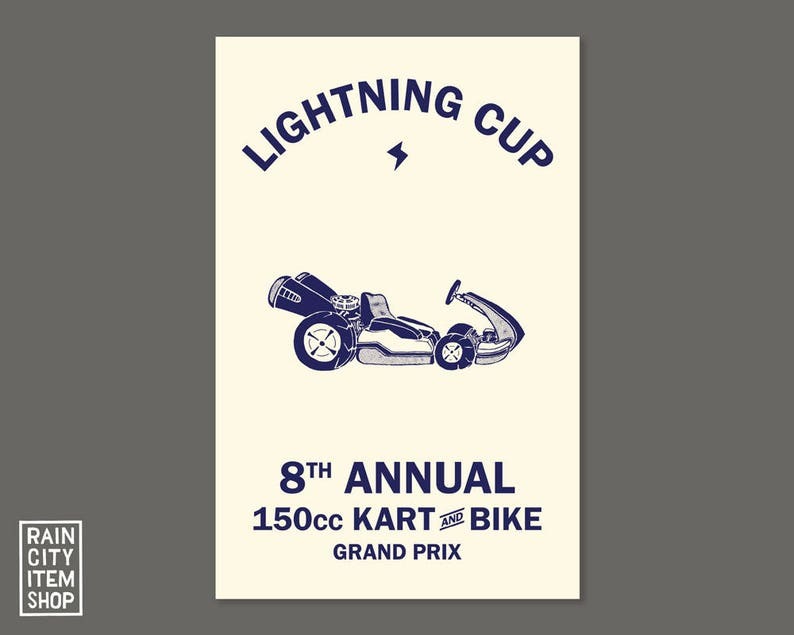 Fill up your tank and grab yourself this 11x17 original artwork inspired by Mario Kart 8 and you're sure to win! Just be wary of blue-a shells, ok? Amazing quality and attention to detail. Because many of our items are made to order we do not accept returns. However if there is an issue with your item we will gladly exchange it at no cost to you. We are not responsible for lost or stolen packages. If you have any questions feel free to reach out. We do our best to keep shipping costs at a minimum. Packages are shipped First Class in a poster tube unless requested otherwise. If you need something over nighted or shipped in a titanium case please send a message before you order.